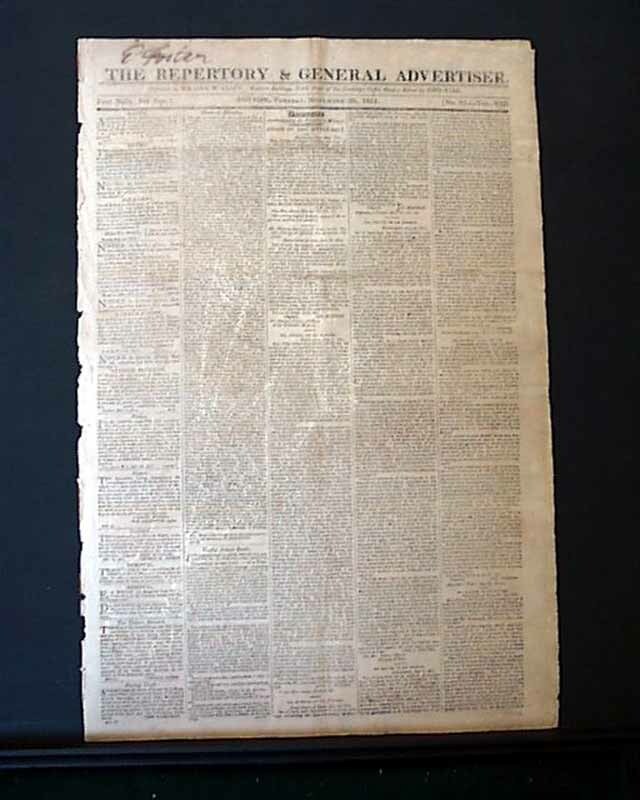 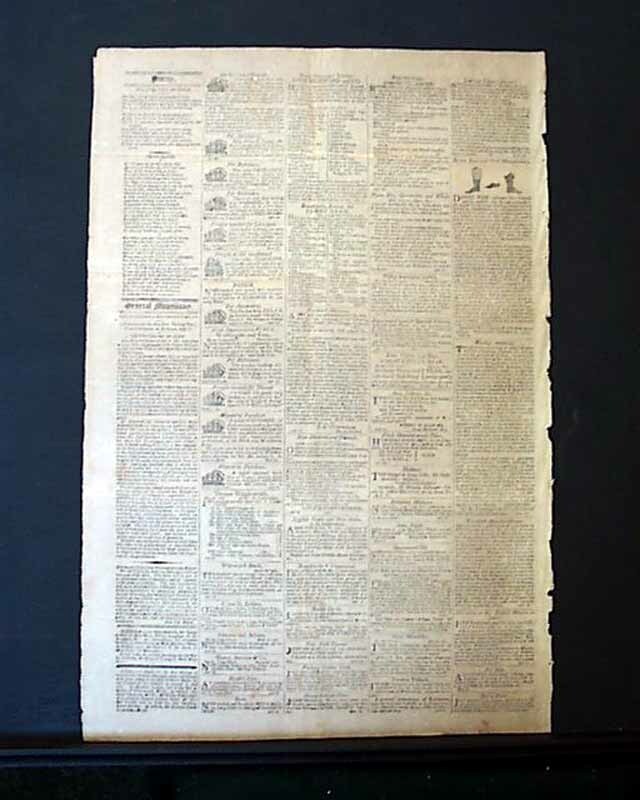 THE REPERTORY & GENERAL ADVERTISER, Boston, Massachusetts, November 26, 1811 The ftpg. 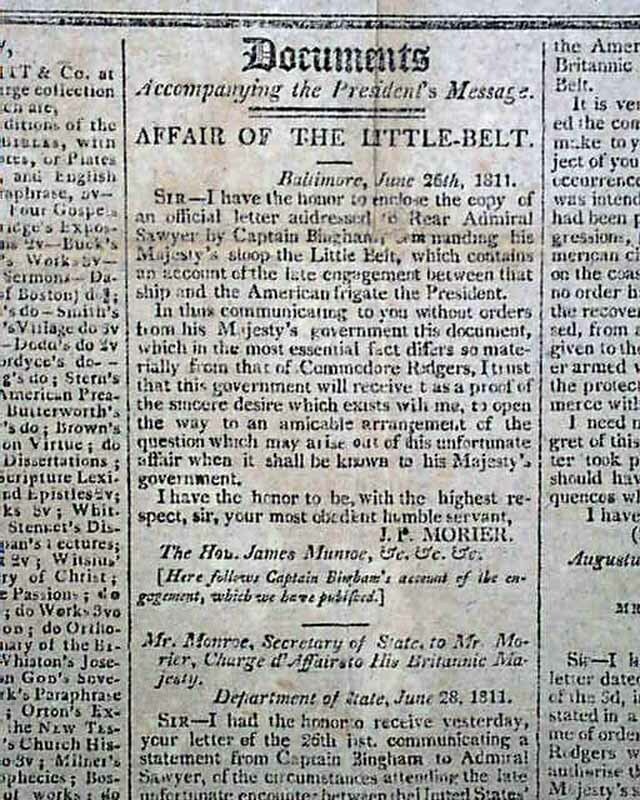 has: "Affair Of The Little Belt" being the correspondence between James Monroe and Mr. Morier, followed by those between Monroe and Foster. 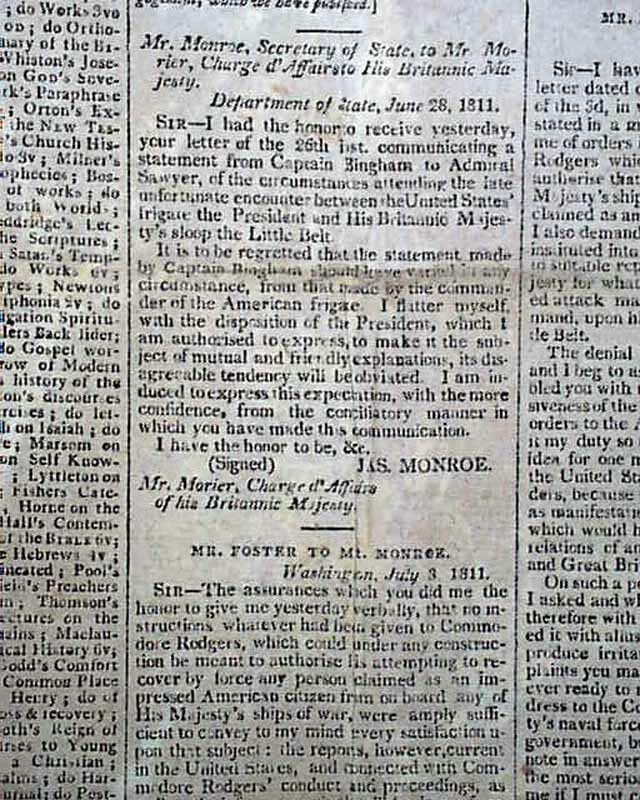 All letters are signed in type by their respective authors. 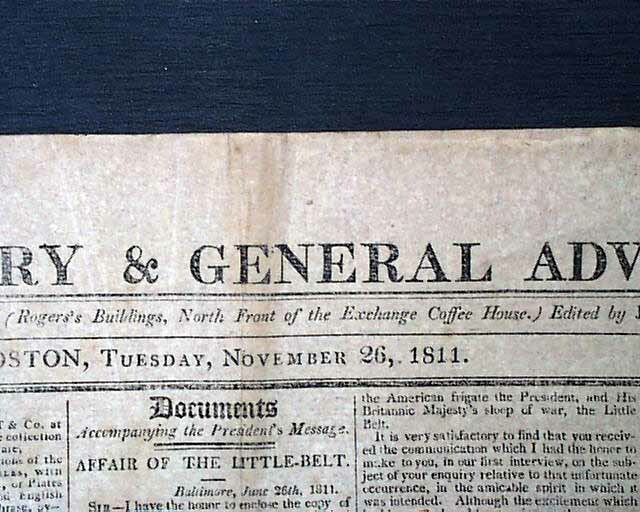 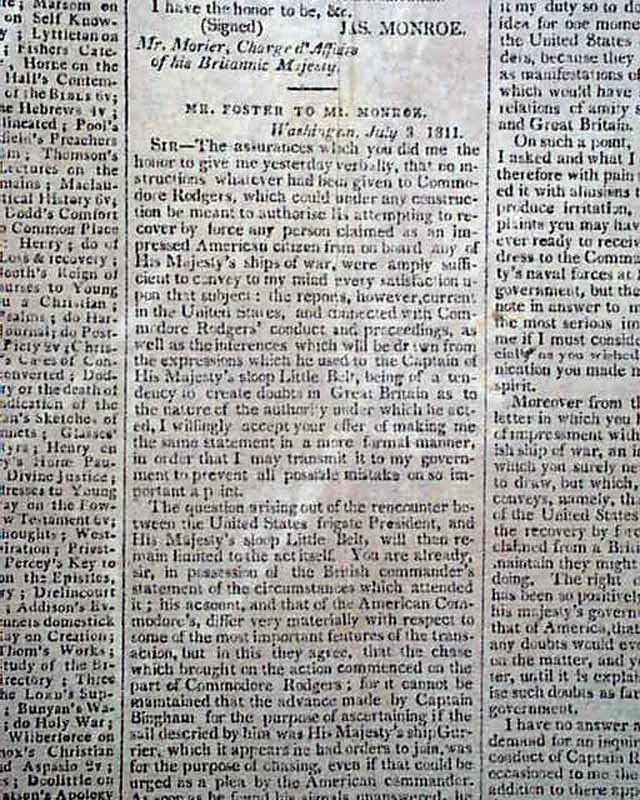 Subscriber's name written above the masthead. 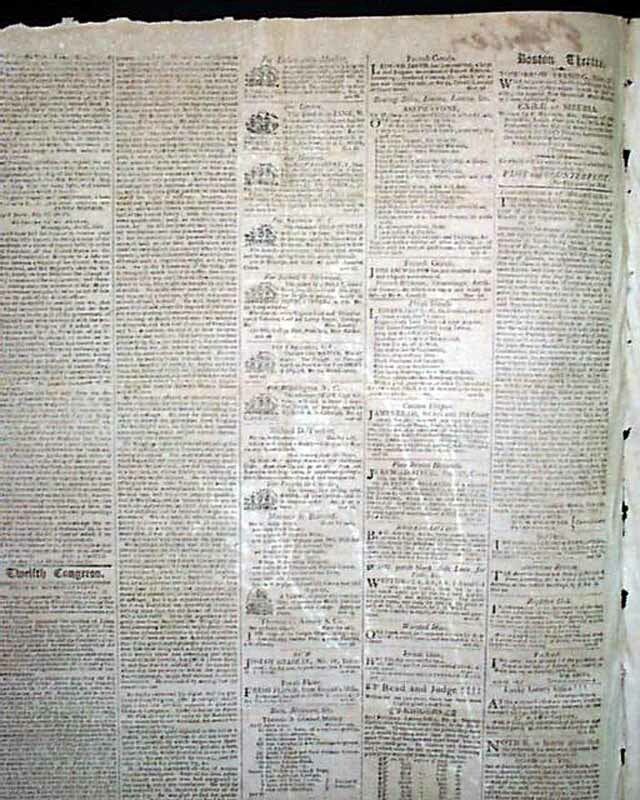 Complete in four pages with light fold rubbing and some foxing, otherwise in good condition.